The Canzine West Festival includes over 200 zine artists, 60 small presses and a gathering of "radical readers." 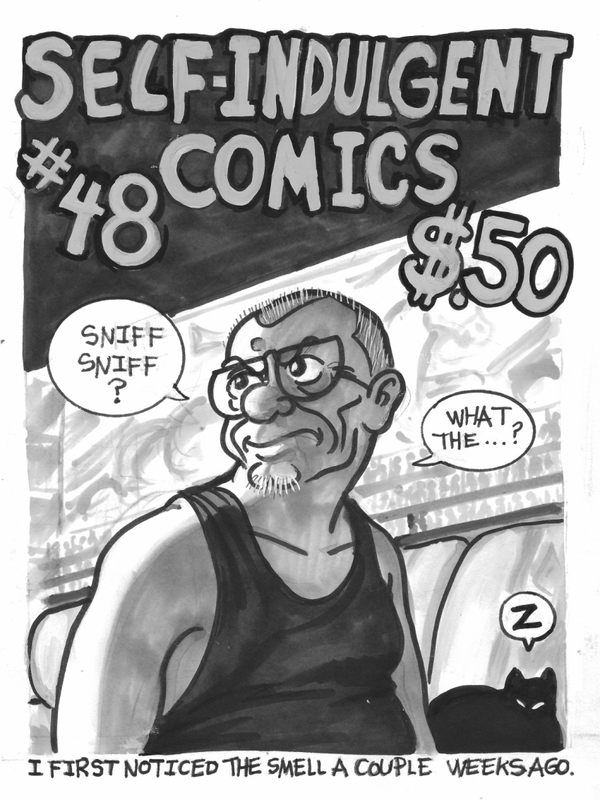 Cartoonist Colin Upton whose work can be found at Canzine West Festival this Saturday. Zine artists, DIY writers of the digital technology age and social commentators from the underground are filling the Goldcorp Center for the Arts with their work this Saturday at the Canzine West Festival. From comic artists to graphic novelist, these are the radical writers of our times – exciting, subversive, usually dexterous, and fearless when advocating for shifts in social perception. Wildly creative and raw, zines have been gaining in popularity. This festival, the fourth in Vancouver, reflects the trend. It is larger than ever with over 200 zines, comics and graphic novels on view and for sale, and with 60 different zine and small press publishers. “We give a community of people who are out there making amazing stuff for the love of it a chance to connect to the greater community,” says Hal Niedzviecki, publisher of Broken Pencil and founder of Canzine. Zines have been around since Thomas Paine’s “Common Sense” incited an insurrection in the 1770s, but they became what we know them as today with the advent of the printing press. An abbreviation of fanzines or magazines, zines cover a range of subjects from ephemera to politics, and personal journals to radical feminism. The printing press helped popularize fanzines of science fiction fandom in the 1930s. As technology changed so did zines. Punk zines made use of the photocopier. With the rise of the Internet, websites like boingboing saw zines migrating to webzines. The latest iteration harkens a return to craft, graphic design and artist’s books. 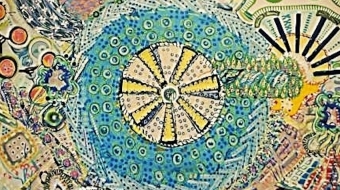 With the embrace of DIY, many zine artists are counterbalancing the heavy grey cloud of our digital technology driven world with the handmade. Leanne Prain, a Vancouver author who will speak at the festival, just published her latest book, “Strange Material: Storytelling through Textiles” with Arsenal Pulp Press. She is one of five “Radical Readers” in the program, and was appropriately selected. Her clever and beautiful book, which highlights the work of over thirty artists, explores the relationship of the handmade and storytelling. 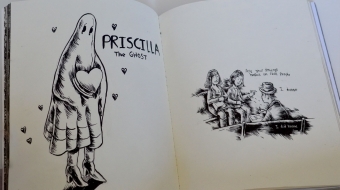 In many ways, the artists in Prain’s book are similar to zine artists. For instance, Alixa Garcia and Naima Penniman created S.T.I.T.C.H.E.D., to strengthen the voice of the unheard or underrepresented. Individual stories were stitched on square clothes, then all conjoined. Not unlike a political zine. Textile artists, like zine artists, are often overlooked or looked down upon by the established arts communities, a mistake that has shortchanged us all. In “Strange Material,” Prain elevates the textile artists to a position they deserve….just as Canzine West brings a deserving light to the zine movement.